PL/SQL – Page 2 – Java, SQL and jOOQ. So, why have I simply never used it? Let’s be honest. When do we really want this loop variable? Hardly ever. Sometimes, we need to access the next string along with the current one, and we want to stick to the imperative paradigm for some reason (when we could do it more easily with functional programming APIs). But that’s it. Most loops simply iterate the entire collection in a very dumb and straightforward way. The while loop is absolutely boring to write. Just like with the loop variable, we really don’t care about the current state of the iterator. We want to iterate over the whole collection, and at each iteration, we don’t care where we’re currently at. The cursor is really an Iterable in terms of Java collections. An Iterable is a specification of what collection (Iterator) will be produced when the control flow reaches the loop. I.e. a lazy collection. It’s very natural to implement external iteration in the above way. Yes, that’s it! Focus on the business logic only, which is the collection specification (the query) and what you do with each row (the println statement). None of that cursor noise! OK, but why no WHILE? If you love SQL as much as me, you probably do that because you like the idea of having a declarative programming language to declare sets of data, just like SQL does. If you write client code in PL/SQL or Java, you will thus like to continue working on the entire data set and continue thinking in terms of sets. The imperative programming paradigm that operates on the intermediate object, the cursor, is not your paradigm. You don’t care about the cursor. You don’t want to manage it, you don’t want to open / close it. You don’t want to keep track of its state. Thus, you will choose the implicit cursor loop, or the foreach loop in Java (or some Java 8 Stream functionality). As you do that more often, you will run into less and less situations where the WHILE loop is useful. Until you forget about its mere existence. WHILE LOOP, you won’t be missed. Specifically the latter was also recently discussed in blog posts by Vlad Mihalcea and Thorben Janssen. Do you like verbosity and complexity? Syntax is one of those topics. One of those emotional topics that lead to very very very important discussions. I personally like PL/SQL. It is extremely verbose, and precise. It forces you to adhere to a very strong and rigid type system, slowing you down, which is likely to help you avoid mistakes. There is one thing in PL/SQL that I like in particular. There is no such thing as an empty block. That makes sense. You immediately see: OK, nothing going on here. Verbosity helps decrease the number of bugs in your code. The less people can be concerned with syntax (see again, the discussion about very very very important topics), the more they can focus on what they really intend to write. Let’s swallow our pride. When we get used to a language, we’ll accept ANY language. They’re all flawed and quirky. It doesn’t matter. But at least, the language should keep us from arguing about different ways to style it. Now, let me go reformat all that moron’s lower-case PL/SQL code. Who the hell would write lower-case begin and end!?? It was initiated by Dan Woods who proposed a talk about RxJava, jOOQ and Reactive Streams at GR8Conf. … before Tom Lin finally concluded with his RxJooq submission. Is this a jOOQ project, or is this a Hibernate project (or both)? It is too early to announce anything, but at Data Geekery, we’re very interested and thus putting efforts into collaborating with Red Hat to make the jOOQ / Hibernate integration work more seamlessly, so stay tuned for more goodness in that area. You may have heard of Pivotal’s recent announcement about their withdrawing sponsorship from the Groovy and Grails ecosystem. This isn’t exactly a surprise to many people as Pivotal’s main focus has shifted towards their PaaS business quite some time ago. The interesting aspect from our perspective is the fact that a whole ecosystem seems to have relied on the benevolence of a single sponsor. Quite a risk! We think that Open Source should work differently. Open Source is a fine means of offering freemium and (legally) riskless software to potential customers in order to help customers start engaging with a brand. The ultimate vendor goal with Open Source is always upselling. As our valued jOOQ users and jOOQ newsletter and blog readers, we obviously hope that you will eventually understand all the combined SQL value put into jOOQ, and thus upgrade to a commercial jOOQ subscription. This wasn’t necessarily the case at Pivotal. There is no obvious path from using Groovy (or Grails) to buying Pivotal’s cloud platform solutions. To make things worse, in order to survive, the Groovy platform now depends on a new, arbitrary sponsor whose incentive to sponsor Groovy might be 100% different from Pivotal’s. For the end user, this will not be the same Groovy any more – so it is hard to believe that Groovy will not suffer heavily from any future transition. We believe that vendors shouldn’t depend on benevolence. We believe that vendors should have a very clear strategy why they’re creating a product, and do everything necessary to satisfy real customer’s needs. So we want to take the opportunity and thank you for being with us, and for making jOOQ (both the Open Source Edition and the Commercial Editions) what it is: A platform valued by both users of Open Source and commercial databases. Speaking of our customers, there has never been a better time to become one! Your budget for 2015 has been set in stone? You spent too much money on geeky infrastructure during the Holiday Season? Not a problem for your planned jOOQ integration! If you purchase new jOOQ licenses in jOONuary (January 2015), we will offer you a limited-time 20% discount on all price plans. Act quickly! We’re a Switzerland-based company, and as such are heavily influenced by recent events on the currency exchange markets. The EUR (which is our sale currency) has plummeted almost 20% compared to the CHF (which is our accounting currency). This affects all of the Swiss export industry, and many companies are starting to take measures. We will not take any measures thus far and continue with our existing EUR-based price model. For our international customers, nothing will change. For our Swiss customers, this means that in addition to the above jOONuary discount, you will now also benefit from a “Euro discount”! Did we say there has never been a better time to become our customer? SAP HANA support. We’ve been talking to database vendors in the past, and we continue to do so, maintaining good relationships with the technical and community people at the vendor side. This time, the collaboration initiative came from the vendor directly, and we’ve heard them. SAP HANA is an emerging cloud SQL and in-memory SQL platform, with a big Java and Scala based tool chain, which constitutes a perfect match for the jOOQ ecosystem. We’re going to support both HANA’s SQL features as well as HANA’s SQLScript features in the jOOQ 3.6 Enterprise Edition. If you’re an SAP HANA user and interested in details, or in a free preview of jOOQ 3.6.0, please contact sales right away. We’re more than happy to provide you with more info. Nested records and tables. One of the SQL standard’s most underestimated features is the capability of nesting records and tables. In a true ORDBMS, tables (or MULTISETs) can be nested any level deep. If your SQL database supports these features, it is very easy to materialise a nested object graph directly in the database, instead of relying on the JOIN-based workarounds provided by modern ORMs. Nesting of records can also be very useful when reusing common data structures, such as audit columns (creation_date, creation_user, modification_date, modification_user). JPA supports the @Embedded annotation for this, and we’ll delve into these features as well. We believe that true MULTISET support will obsolete our competing products’ most important asset: mapping. Once you can declare all mapping already in SQL, you will no longer miss JPA once you’ve migrated to jOOQ. A new ConverterProvider SPI. Converters are great for supporting custom data types, but having to register them all the time is tedious. What if jOOQ just supported T <-> U conversion right out of the box, for any combination of T and U? We’ll let you register all your favourite converters and jOOQ figures out the conversion path through the converter graph. Even better PL/SQL support. PL/SQL types are ubiquitous, but they are not easily accessible via JDBC, and thus via jOOQ. We’re researching a variety of possibilities of working around JDBC’s limitations to allow you to use your favourite PL/SQL types: BOOLEAN, RECORD types, perhaps even table types. January 29: Our jOOQ talk at the vJUG. You cannot miss this one, it’s online! Keep up to date with our own and third-party jOOQ events on our news website:http://www.jooq.org/news. We’re looking forward to meeting you and to talking about all things Java and SQL! A procedural language combined with SQL can do miracles in terms of productiveness, performance and expressivity. In this article, we’ll see later on, how we can achieve the same with SQL (and PL/SQL) in Java, using jOOQ. One of the biggest reasons why Java developers in particular refrain from writing their own PL/SQL code is because the interface between PL/SQL and Java – ojdbc – is a major pain. We’ll see in the following examples how that is. Assume we’re working on an Oracle-port of the popular Sakila database (originally created for MySQL). This particular Sakila/Oracle port was implemented by DB Software Laboratory and published under the BSD license. Here’s a partial view of that Sakila database. 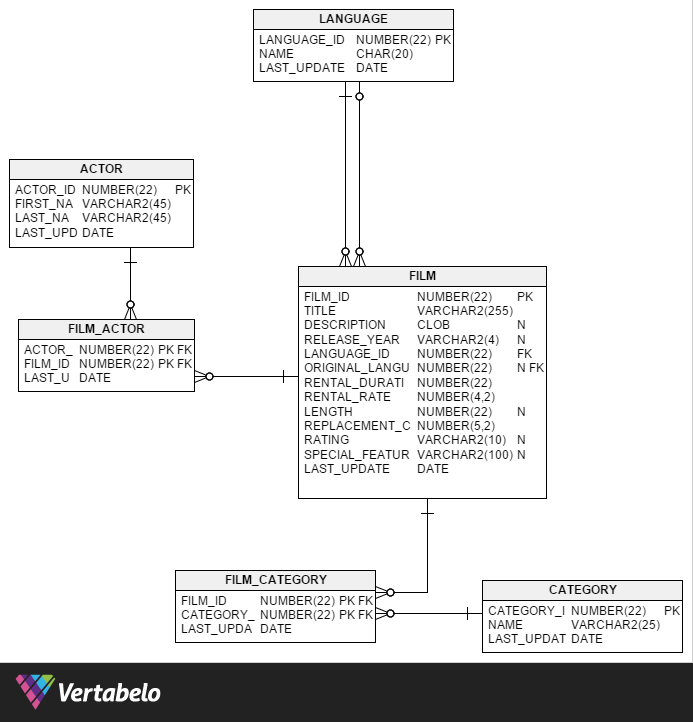 You’ll notice immediately, that this is essentially just a 1:1 copy of the schema in this case modelled as Oracle SQL OBJECT and TABLE types, apart from the FILM_INFO_T type, which acts as an aggregate. Now, the brave ones among you would continue downcasting the java.sql.Struct to an even more obscure and arcane oracle.sql.STRUCT, which contains almost no Javadoc, but tons of deprecated additional, vendor-specific methods. For now, let’s stick with the “standard API”, though. Let’s take a moment to appreciate JDBC in times of Java 8. When Java 5 was introduced, so were generics. We have rewritten our big code bases to remove all sorts of meaningless boilerplate type casts that are now no longer needed. With the exception of JDBC. When it comes to JDBC, guessing appropriate types is all a matter of luck. We’re accessing complex nested data structures provided by external systems by dereferencing elements by index, and then taking wild guesses at the resulting data types. Lambdas have just been introduced, yet JDBC still talks to the mainframe. OK, enough of these rants. And that’s not it! The first attribute of type FILM_T is yet another, nested STRUCT. And then, those horrible CLOBs. The above code is not strictly complete. In some cases that only the maintainers of JDBC can fathom, java.sql.Clob.free() has to be called to be sure that resources are freed in time. Remember that CLOB, depending on your database and driver configuration, may live outside the scope of your transaction. // The internal specifics are mysterious! The Array.getArray() method returns an array. But it declares returning Object. We have to manually cast. We could’ve used Java 8 and Streams and such, but unfortunately, all lambda expressions that can be passed to the Streams API disallow throwing of checked exceptions. And JDBC throws checked exceptions. That’ll be even uglier. Wow, I mean, this is just as though all those PL/SQL types and procedures / functions were actually part of Java. All the caveats that we’ve seen before are hidden behind those generated types and implemented in jOOQ, so you can concentrate on what you originally wanted to do. Access the data objects and do meaningful work with them. Not serialise / deserialise them! 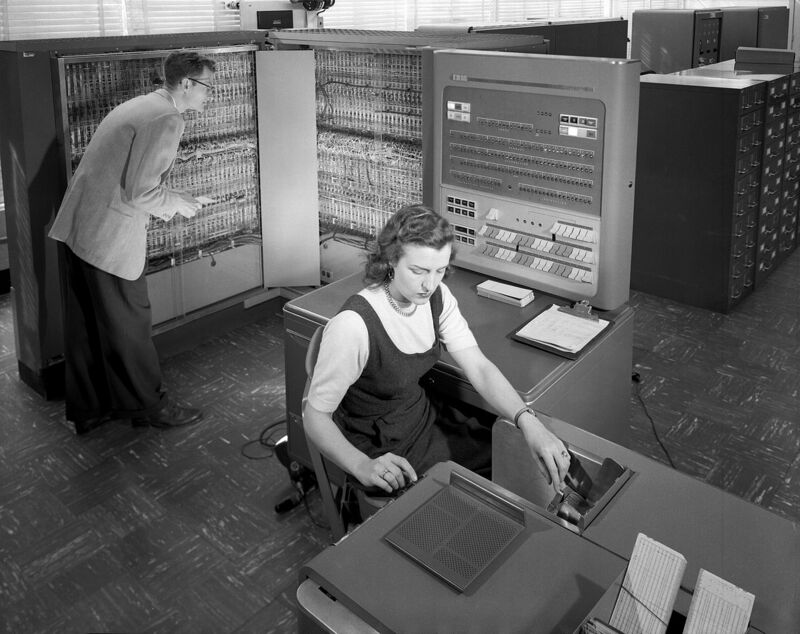 I told you not to get me started on serialising the types to JDBC. And I won’t, but here’s how to serialise the types to jOOQ, because that’s a piece of cake! Finally, it is time to enjoy writing PL/SQL again! See also this article about how jOOQ 3.9 provides access to PL/SQL RECORD types.